Ahead of the CES show in Las Vegas in early January, Samsung have announced the Samsung Galaxy Player (model number YP-GB1), an Android-powered competitor to the quite similar looking Apple iPod Touch. 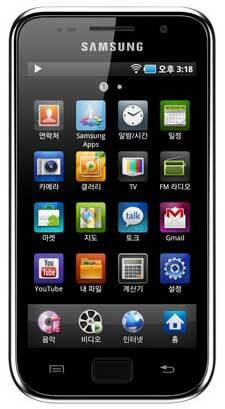 The Samsung Galaxy Player will run on Android Froyo, and will come in at 9.9 mm thick against the 7.2 mm of the iPod Touch 4th generation. It will be available in 3 sizes, 8GB, 16GB and 32GB. Previous ArticleApple logo to become an antenna?